CSA Artillery Flag (38" X 38") Cotton, cut & sewn. 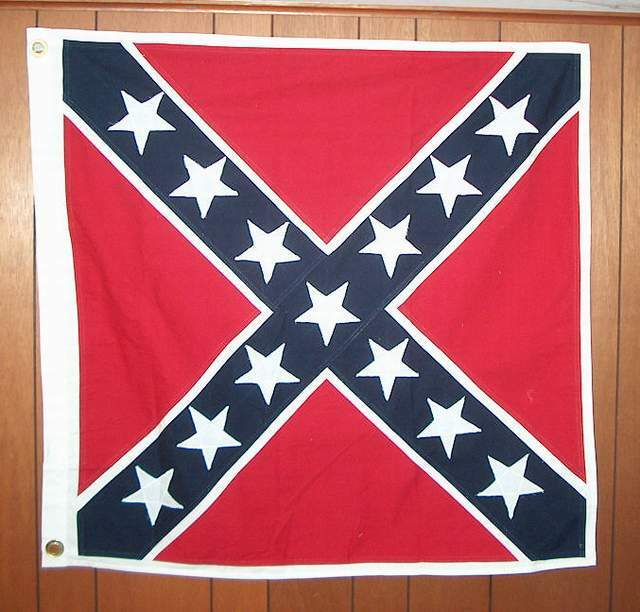 Smaller version knon as the Southern Cross, Virginia Battle Flag, CSA Battle Flag, & CSA Cavalry Flag. See other Battle Flags on this website. Satisfaction guaranteed. Fully refundable within 14 days of reciept. .